There is a common understanding that if you have website with HTTPS, then it will rank better than an HTTP. It is also in line with one of the announcements by none other than Google itself! However there are many misconceptions about the differences between HTTPS and HTTP. One should try to understand the real SEO benefits of HTTPS and how exactly it would help our website gain higher SERPs. We must learn how precisely the switch is going to impact our website. Or to be rather blunt, is the switching over really essential or is it just hype. We must also be aware of concerns that may be associated with HTTPS before taking the plunge. It is very important to understand basic characteristics of HTTP and HTTPS. Reliable encryption by third party is the key to ensure a secure website experience. Receiving and transmitting any information is the basic function of these website elements. Information transfer across Internet should be able to address security concerns of the end user. HTTP is an acronym for Hypertext Transfer Protocol. The application layer protocol treats web browser as a client and establishes a communication of web browser with server that is hosting the website. The most striking feature of HTTP is its simplicity. Being a stateless protocol, it is devoid of any memory regarding previous sessions. This is a significant attribute of HTTP in terms of increased speed due to absence of any ‘luggage’. HTTP is the most appropriate protocol for accessing html pages. It can also support other resources and hence becomes an ideal option for websites that are not supposed to handle sensitive information such as online transactions. HTTPS stands for Hypertext Transfer Protocol Secure. As the name implies, it differs from HTTP due to the presence of term ‘Secure’. HTTPS is different from HTTP in terms of an additional layer of security that facilitates authorization of the transmission and imparts greater security for transactions that are supposed to handle sensitive information. HTTPS is governed by protocols that are identical to HTTP. The layer of security is provided either by SSL (Secure Socket Layer) or TLS (Transfer Layer Security. 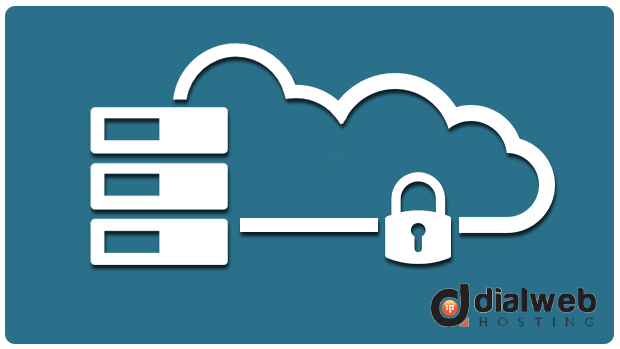 The security of connection between a remote user and primary web server is established by way of encryption. It prevents hackers from gaining unauthorized access to sensitive information such as user login details, credit card information, online transaction details, health records, and personal details, just to name a few. HTTPS is designed to work in close association with third party certification authorities that are entrusted with verification of security credentials of accessed websites. Users are able to visualize the security seal of HTTPS while browsing the websites that are using HTTPS protocols for information exchange. It is usually in the form of a small padlock on the left side of the URL in a browser window. Secure Sockets Layer or SSL facilitates HTTPS to transfer data securely. HTTPS empowers website with seal of trust and offers confidence to users that the website can be trusted for carrying out transactions that need sharing of his or her credit card’s details. In essence HTTPS contributes to the growth of ecommerce business. One can appreciate that Google attaches great significance to secure browsing and therefore it also favors sites that are secured by using HTTPS. The process of acquiring an HTTPS encryption involves a trustworthy certificate issuing authority. That is why presence of HTTPS is a proof that the website is safe for sharing sensitive information. Google acknowledges this by allowing advantage of better SERPs. Transport Layer Security or TLS secures the data by using three pronged approach. It secures data by encryption and helps maintain integrity during the process of transfer. Thirdly, it confirms that the user is communicating only with the proposed website by following process of authentication. In the light of Google’s announcement to let HTTPS websites enjoy slightly higher rankings due to the credibility from user’s point of view, one should acquire HTTPS certification even if the site is not handling sensitive information. It must always be remembered that Google will always attach the greatest significance to the quality of content for assigning search engine ranking to websites. The ranking advantage of HTTPS is not very significant as of now, however there is every possibility that Google may upgrade SEO benefits in very near future by enhancing relevancy and SERPs of websites that have HTTPS protection. In addition to getting your site in good books of Google the traffic that is passed through your HTTPS empowered site is maintained as referrer data. It is recommended that a switch from HTTP to HTTPS should be communicated to Google. There a few important concerns to be addressed before acquiring an HTTPS certification. Choose an appropriate certificate including single, wildcard, or multi-domain by considering your requirements. Relevant URLs should be used for resources related to the secure domain. For all other domains you need to use protocol specific URLs. Page indexing by search engine should be allowed as far as possible and try avoiding no index robots meta tag. Tracking of the switch-over should be performed carefully in terms of Google webmaster tools as well as in your analytics. It is preferable to get associated with service provider that facilitates establishment of SSL connections. In conclusion, if you want to keep up in Google’s stride and also offer security of browsing to your visitors, then you need to migrate to HTTPS without losing any time.